Matthew Cunningham Landscape Design LLC — a national-award-winning landscape architecture firm in Winchester, Massachusetts (soon to be in an amazing new space in Stoneham Center) — seeks a talented, motivated, and energetic entry level designer to join our team! MCLD is committed to creating lush, contemporary landscapes, built through a thoughtful and collaborative process with our clients. Our unique understanding of what it means to live in seasonal New England drives our environmentally distinctive approach. Our gardens strengthen the connections between interior and exterior spaces, bridge our clients’ indoor and outdoor lifestyles, and grasp the dynamic rhythms of everyday life. 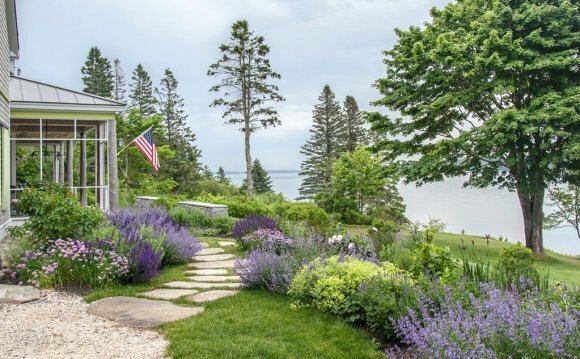 Applicants must share our passion for creating luxury residential landscapes for upscale clientele and should have a strong appreciation for New England’s incredible plant and material palettes. A BSLA or MLA degree in landscape architecture is preferred, and any relevant professional experience in an office or studio environment is favored. Candidates must have exceptional time management and communication skills, and be capable of thriving in a fast-paced, collaborative atmosphere. We value honest, reliable, and pragmatic people who are organized and focused. Strong design sensibility, creative energy, and a sense of humor are essential. We are a Mac office and use Vectorworks 2015, Adobe CC, and MS Office. Growing up, Garden Design was one of my favorite magazines, so it was completely humbling earlier this spring when I was asked by celebrated garden writer, Valerie Easton, if I could share my thoughts with their readers on “what makes a great outdoor living space?” I was grouped with an awesome panel of distinguished designers who were asked the same question. Everyone’s answers were thoughtful and vivid. To top it all off, the incredibly talented artist and illustrator, David Despau, created individual portraits of us each to include in the piece! Definitely a memorable collaboration–thank you Garden Design! It’s a rare moment these days when our whole office is able to be in the same place at the same time. So, in an effort to connect, we closed shop this past Friday and spent the day together touring some of our favorite MCLD projects throughout the Boston Metro area. For some, it was their first visit in person to these gardens, and for others, it was a chance to share the firm’s work with the rest of the team. We explored ideas and details that distinguish our landscapes from other designers, and used the opportunity to discuss how we can better refine our craft for future clients. Together, we visited eleven gardens located throughout Brookline, Newton, Cambridge, and Belmont. The tour included projects of all shapes, sizes, and budgets, from a historic, four-acre estate where we recently completed a complex pond restoration, to an elaborate dream home complete with a tennis court, swimming pool, and private golf green. We meandered through properties with brand new, custom contemporary homes that incorporate environmentally-sophisticated design concepts, and also marveled at gardens we’ve completed around spectacularly restored, 100-plus-year-old homes in some of Boston’s most celebrated historic neighborhoods.